Direct Vent Heating Systems. What to Not Worry About. 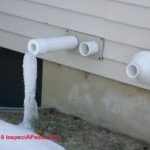 Direct vent heating systems are the ones that run so efficiently that they can vent through a PVC pipe instead of a chimney. Why does the efficiency matter? 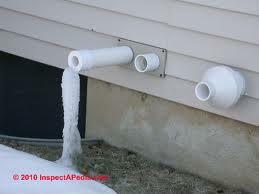 If the air coming out of the boiler is still very hot, it cannot travel through plastic PVC pipes. Newer high-efficiency boilers and hot water heaters use less fuel because most of the heat they generate goes into your house, not up your chimney. When your system was installed, a hard-wired CO detector was installed, too. That’s code. 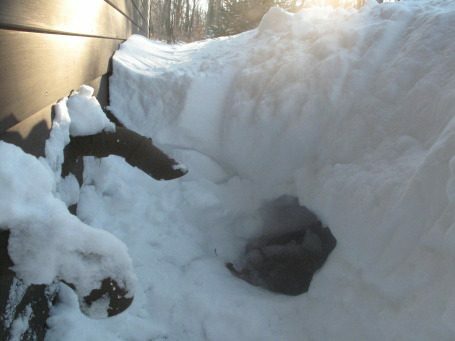 There was also supposed to be a sign posted near your vents, saying keep these vents clear of snow. Home inspectors frequently note that those signs are missing. 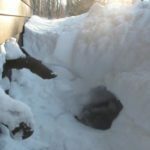 Why do you keep snow away from these vents? When the weather is fair, find your vent locations. When there is snow, check that they remain above the snowline. Shovel them out if they get covered. Homeowners are responsible for the upkeep of CO and smoke detectors. At the time of purchase, houses and condos are inspected by the local fire department and certified as having the correct type and placement of smoke and CO detectors. If you bought your house or condo before 2006, add carbon monoxide detection that is required now, but was not when you purchases. If you bought your house or condo before 2018, change out your smoke detectors to the ones with 10-year non-replaceable batteries. This is the new code. Having smoke detectors won’t help you if you pull the batteries out when they chirp and don’t replace them. Now, you can’t tamper with them and that makes them safer. Also, the sell some that are less sensitive to temperature change, so you don’t have to hear them go off while you pre-heat the oven. High-efficiency boilers are installed with safety features that will turn them off if their vents are blocked. The new installations require CO detectors that are hard-wired with battery back-up. They are unlikely to cause CO poisoning. Chimneys, however, can get blocked by bird’s nests, raccoons, and other animals. They can also get blocked by bricks falling because of worn-out mortar. Older boiler installations did not require CO detector installation. So, the chances of carbon monoxide poisoning are higher with older heating systems that use chimneys. Your best protection is to have functioning CO detectors, as required by law, in your house or condo. Have a safe and lovely winter.